Our work in advocating justice, peace, and care of creation is rooted in the Gospel, our mission and our values. Our advocacy efforts focus on the most poor and vulnerable of our dear neighbors, whether living nearby in Beaver County or across the globe in India. By working in partnership with our Associates, colleagues, friends and many collaborators, we believe we can make the greatest impact on peace and social justice. The Justice and Peace office coordinates a number of channels for advocacy including letter-writing campaigns, special prayer services, petitions, public forums, face-to-face meetings with public officials, and networking groups, such as the Leadership Conference of Women Religious and the U.S. Federation of the Sisters of St. Joseph. For the past five years, the Sisters of St. Joseph in the United States and Canada have collaborated with Mission Haiti to help rebuild the lives of the Haitian people after the 2010 earthquake. Our project has focused on Annunciation School in Leogane, Haiti, and the education and empowerment of girls. View the 2019 Haiti Lenten Calendar. Often called “modern day slavery,” human trafficking is one of the fastest growing crimes in the world. While often perceived as a problem in other countries and large cities, trafficking victims have been identified in city, suburban and rural neighborhoods in all 50 states. 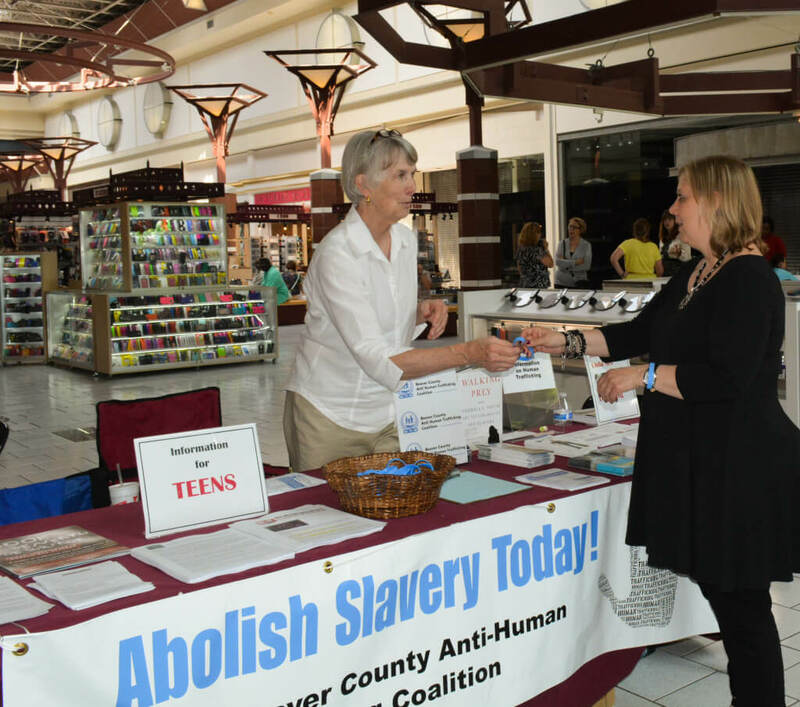 This awareness prompted our Sisters to help in the formation of the Beaver County Anti Human Trafficking Coalition in 2012. The coalition, which meets monthly, has provided training for a response team and continues educational outreach. Our Sisters help to address hunger locally and abroad. Our community gardens provide fresh produce for local food banks and soup kitchens. Through letter-writing and education sessions, our Sisters also collaborate with the local Bread for the World to help address the human right of food security. We call for just immigration reform that treats all people with dignity and respect, keeps families intact, and provides a direct pathway to citizenship. We reverence the life and dignity of every human person and oppose the death penalty, urging support and compassion for the victims of violence and restorative justice for the offenders.